About three and a half years ago, I was introduced to the concept of paleo by a local CrossFit gym that I was attending. At that point in my life, I had some significant health challenges and also had a hard time maintaining a healthy body composition. I was ready to ditch the conventional wisdom of eat less/exercise more and try something different! I began searching the internet for anything I could find on paleo eating, and soon came across Mark’s Daily Apple. 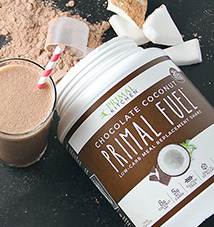 The Primal Blueprint 101 page was an invaluable resource as I was learning about Primal eating. The Friday Success Stories were an unending source of motivation and inspiration. In fact, I sat down one day and read every single success story that was ever published. At that time there were 4 years’ worth to catch up on! When I was done, I still wanted to read more. To this day, any time I have a question about anything health, fitness, or nutrition related, my first step is always to go to Mark’s Daily Apple and search on my topic. My questions are almost always answered. Six months into my journey, I had seen some fantastic results in my health, body composition, and overall well-being, and my mom wanted to know what I had been doing. She told me that she didn’t really care to understand the science or the “why” behind it all, she just wanted to know what to do. So I sat down with her one day and explained the Primal Blueprint basics. She implemented the nutritional changes immediately, and saw immediate results! Since then, she has faithfully followed the Primal principles and continues to see improvements in her health. After losing around 45 pounds, she felt good enough to begin exercising with me and now we work out together three days a week! There’s so much more to my success story and to my mom’s as well, but I’m actually writing you today to tell you about my dad, Paul. You see, my dad was very reluctant to jump on board with this new way of eating, even though his wife and daughter were totally committed. When my mom got on board in November of 2011, my dad was 57 years old and he sure did love his breads, spaghetti, lasagna, chips and crackers, ice cream, and the occasional beer. He ate a typical S.A.D. (Standard American Diet) and tried to watch the red meats and fats due to conventional wisdom. My dad used to tell stories of sneaking off to the woods for a few days at a time when he was a kid (when you’ve got 13 brothers and sisters, you could disappear and not be missed for a while!) and taking with him loaves of wonder bread and bunches of bananas for food. Or the days when he’d go surfing all day with his friends, and in the morning they would bury a giant jar of peanut butter in the sand so that it would be nice and melted by the time they got out of the water and needed some nourishment. He even used to pay his sisters to make dozens and dozens of oatmeal raisin cookies and hide them in plastic bags under his pillow, and he would devour them before going to sleep at night. We’d hear stories of the early years of my parents’ marriage, when dad would put down two giant, heaping plates of spaghetti and meatballs, with bread on the side. You see, my dad was always incredibly active when he was younger, whether it was playing in the woods as a child, surfing all day as a teenager, or pouring concrete and laying brick as a young adult. Check out these pictures of him in the early 1980s!! Over the years, my dad continued to work incredibly hard in physically demanding jobs – mostly pouring concrete, doing stone work, building pool decks, and laying brick. His activity levels kept him trim and fit even though he was eating a S.A.D. diet, and lots of it! 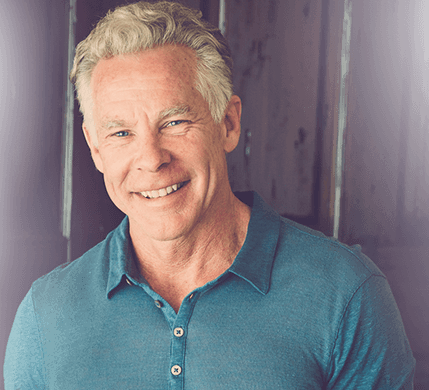 But over time he began to experience some health challenges… he had surgery on both of his knees in his 30s, major surgery to fuse a metal plate to a ruptured disk in his spine, and even more surgery to fix torn rotator cuffs in both shoulders. He also had to have carpal tunnel surgery TWICE, because the first time didn’t fix the problem. For being as active as he was, it is obvious to us now that his inflammatory diet led to a lot of issues that could have been avoided. These are just some of the major health challenges that my dad was beginning to develop. After each surgery, he bounced back remarkably well and was able to continue working hard physically, although doctors did place some limitations on what he could do. An opportunity came up at one point for him to get away from the physically demanding construction work and begin traveling around the country cleaning screens in movie theaters. He and his partner traveled for days or even weeks at a time, driving a pickup truck, living on the road, staying in hotels, and eating in restaurants all along the way. With the decrease in physical activity that this caused, along with fewer home-cooked meals and an increase in restaurant and fast foods, my dad’s weight began to creep up consistently. Along with the weight gain came struggles with high cholesterol and high blood pressure. Over the years, he put on at least 65 pounds of unnecessary weight – most of it in his abdominal region, which we all know is a BIG health concern. When he was home, he was still picking up side jobs in construction and working hard around the house, but this wasn’t enough to combat the poor eating habits and sedentary lifestyle on the road. I was in college at this time, and I began to get very concerned about my dad. I could see his expanding belly and watched him go through all of those surgeries. I made it my goal to return home after college and find a way to help my parents regain their health. Thank goodness I discovered the paleo/Primal lifestyle and could actually help them by the time I got back home! My dad would tell you that he started to get alarmed about his health and weight at this point, too. After helping my mom change her eating habits and lose weight, we both knew that my dad really, really needed to change his eating habits in order to see his weight come down and his health improve. His doctor was insistent on putting him on blood pressure medication and on cholesterol medication, which he fought vehemently. When my dad challenged his doctor on the idea of being on medication for the rest of his life, the doctor looked at him and said, “Paul, almost EVERYONE is on some type of medication or another. It’s normal!” My dad could not believe his ears. His doctor essentially left him with no hope of ever getting better on his own. Now when he travels, he tries to make his trips shorter and he brings nearly all of his food with him. Egg/meat/cheese “sandwiches” (no bread) wrapped up in foil, “spicy nuts” adapted from Mark’s recipe, almond flour muffins and banana/coconut flour muffins, frozen protein & fruit smoothies, and homemade whole-milk yogurt that my mom makes from scratch. In a pinch, he’s even gone into a fast food restaurant and asked for couple burgers with no buns. When the cashier looked at him funny he told her he doesn’t eat grains and then proceeded to explain the success he’s had with his Primal lifestyle. By the time he left, she was convinced to try it out! Even though his doctor had finally demanded that he take blood pressure and cholesterol medication, eventually (after eating Primally for a while) the doctor saw him improving and literally scratched the medications off of his chart! It even got to where the medicine was making him feel worse, because his body no longer needed it. Now that is a pretty powerful message! Your body really craves the right nutrition, and when those needs are met, it can start to reject medication! My dad’s weight loss and improved health has been really awesome. But I must tell you, the most remarkable change that we’ve seen in my dad hasn’t been in his appearance (although he looks amazing now!) or even his other health markers – it has been in his demeanor. He will tell you that over the years he was very quick to become irritable and was always easily frustrated. His temper would flare up over seemingly small things, and he had a really hard time calming down. Challenges that came up in daily living… (like getting lost while out on the road, late at night, in the rain, in a foreign city – and I know because I was there! )… these challenges usually used to ruin the entire trip but are now handled with a rational calm and a problem-solving mindset. He communicates so much better because he isn’t struggling to reign in his strong emotions. He says to us often, “I no longer fight food.” It really is amazing how food can make such a difference in someone’s mental and emotional health! Along with a major change in eating habits, my dad also made some big changes in his overall lifestyle, especially when it came to working on the road. He has really focused recently on being home more, making his trips shorter and less frequent, and staying really active when he is home. He has picked up more concrete jobs in the local area, which is pretty awesome seeing how he’s just turning 60. (For a job he’s doing right now, he is using a jackhammer to bust out old sections of a parking lot, throwing the chunks of concrete up onto his trailer, taking them to the dump and unloading the concrete, and then forming and pouring new sections of the parking lot — all by himself! He has already taken 24 tons of concrete to the dump in just over 2 weeks. Talk about lifting heavy things! Even I was shocked when I heard those numbers.) In addition to all of this, he has picked up leather work again for the first time in years. He has a full leather workshop in his home, and just started up a company called PRB Leather Co which focuses on making minimalist style leather goods. Along with that, his oldest son often goes (legal) alligator hunting in the swamps and marshes of Florida. My dad is now tanning the gator hides in his backyard, and will eventually be incorporating the gator skins into some of the leather goods he is crafting. My mom says that the backyard is beginning to look like an Indian reservation – between the huge boat hull he buried in the sand to hold topsoil for gardening, to the large “gator coop” he put up to tan the gator hides in and keep the birds out, to the ducks that are laying their eggs all over the back yard. Along with bamboo growing in tractor tires, newly planted citrus trees, an archery range, a knife-throwing area, a fire pit for grilling (along with a couple charcoal grills, a gas grill, and a smoker made out of an oil drum) and more, he has really embraced the Primal lifestyle!! We’re so very appreciative of Mark and Mark’s Daily Apple for the limitless amount of information and resources available at our fingertips. The things we’ve learned in the past few years have literally changed all our lives, and I know that it has added years and years of quality, vibrant life to my dad and mom. I couldn’t be more grateful. If you’re interested in supporting PRB Leather Co as we get off the ground, we’re running a Kickstarter fundraising campaign right now and we sure would appreciate it if you could help spread the word. If this really takes off, my dad can stop traveling altogether and really focus on this Primal lifestyle that he’s continuing to develop. The campaign is offering some really sweet leather wallets as rewards, and once the business really gets rolling we’ll be able to offer custom belts, different size wallets, gun holsters, knife sheaths, bow and arrow quivers, and more, and then we’ll really be able to put these gator skins to good use! The campaign runs through November 17 and we should have everything shipped out in time for the holidays. Thanks again to Mark, the Worker Bees, and the entire Primal community! We’re so happy to be a part of it all! What an amazing story! Three successes wrapped into one incredible read. Thanks for sharing it. The transformative process your whole family went through is wonderful to hear about. I only hope I can help influence my parents in the same way. Thanks, Steve!! It really has changed so many things for our entire family. I didn’t know how to really help my parents until I found paleo/primal living… and now they amaze me with their dedication and enthusiasm for it! This story is great. The fact that you and your family are willing to learn from each other and take in new ideas to try from each other – I think this is a really important sign of good family and friend connections. Made me happy and hopeful. Have pledged at Kickstarter! Thank you, Sarah! We appreciate your pledge so much! I’m eager to make sure my dad can focus on his health and the things he loves doing – so your support is really helpful. Have an awesome day! Might be one of my favorite Friday success stories yet! Amazing transformation, I love hearing about the emotional gains and when focusing on health everything falls into place. Glad your entire family got on board, very cool. Congrats to you quite the inspiration! Hey Luke! So awesome to hear that this is one of your favorite stories. I’m always so amazed at all of the successes featured here… and I’m so proud of my papa for being one of them. Happy Friday! Sweet story! I hope this lifestyle hasn’t taken a toll on his faith…I’m a Christian and while the Bible talks about “breaking bread” and “daily bread”, I think it’s fair to say that those are metaphors rather than literal commands. Also, they didn’t have mutated dwarf wheat back then to worry about! Maybe this doesn’t apply to Paul, but for strict Catholics, bread at communion is important. IMO there isn’t much wrong with eating communion bread unless there is a severe intolerance. No one will get fat off a little piece once a week. And look up the Jovial brand of wheat flour. It’s made from the old einkorn wheat, not the mutated stuff. Hi oxide! I’ve never heard of the Jovial brand of flour – will definitely have to read up on it. Thanks for sharing!! And there are gluten-free communion wafers. My children’s godmother is very severely allergic to gluten, and her parish has them on hand for her. I’ve always wondered about that at Communion time. How do they make sure the priest has consecrated the gf wafers? I’d agree that ‘daily bread’ is a metaphor for food generally, rather than bread specifically. I read somewhere that the Inuit translation of the Lords Prayer reads “Give us this day our daily meat” as bread was unknown to the Inuit. He should’ve kept the ‘stache. Good story. 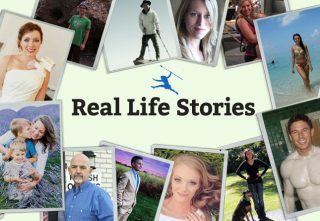 I always enjoy a well written Primal Blueprint Real Life Story. Some of them leave a lot to be desired (on the writing and depth of the tale, especially). Not this one! Great write up, Carrie–congratulations to you and your family. They are lucky to have you! Thanks so very much, Susan! I do love writing and when it’s on a topic that I’m so passionate about, it is so much fun! There’s nothing better than being able to share about how people you love are getting healthy and happy. Really appreciate your kind words. Great story. The only thing that made me feel nearly as good as getting my own health and fitness in order was hearing my parents tell me they want advice to do the same. Way to go! Amen to that!! One of the best days of my life was when my mom said, “Just tell me what you’re doing and I’ll do it — give me the bottom line.” I knew that conversation would change everything for her!! Happy to hear that your parents did the same thing. I had a friend like this… she watched me lose weight and after a year of me dropping massive hints.. she finally asked.. ok just tell me what to eat, I dont want to know the whys.. just the whats… I scribbled out a list of all foods she could eat, what to avoid and she ate religiously off that list for a year… losing 35kg and going from a size 26 to a size 12 (Aussie sizes) so a size 30 to an 8? 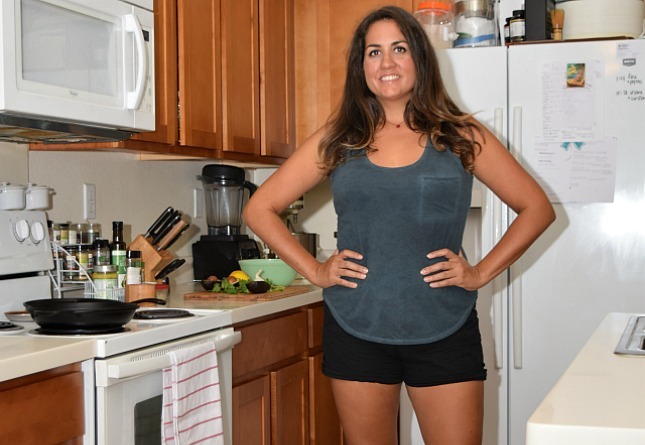 It sure changed her life to go from obese to normal… ditched her meds etc too… unreal! I loved this story, and the mum dad stories always make me cry! Love to see a picture of the entire family! I’d like to check out that back yard! 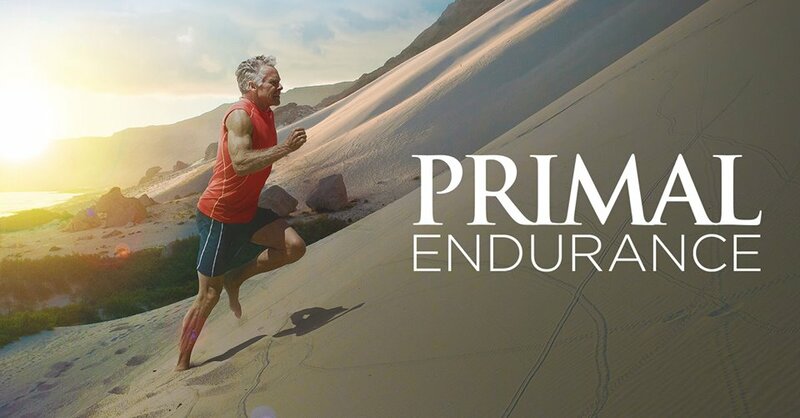 I am also 59 and started Primal at age 57 with great success. It’s a terrific feeling getting in shape and rolling back the odometer on the cusp of sixty! Great job, you’ve done your folks a wonderful service! Hi bayrider 🙂 If you’re ever in Florida, I’m sure you could stop by! Congratulations to you, too, for your success before 60. That’s so awesome. I love seeing how it’s never “too late” to get healthy. 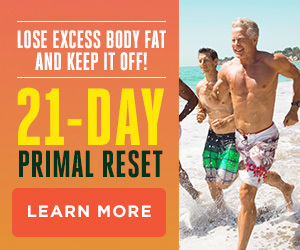 Wow, what a fantastic story, I’m on day one of my primal journey, I feel so much more inspired after seeing the before and after pictures.. thanks for sharing. Thank you, Karo, and all the best to you as you start your primal journey! This community has all the resources you need to succeed, so I know you will. 🙂 And my dad will be so excited to see that someone from Scotland read his story! You can tell your dad that someone from Robert Burns Country loves his story! Way to go everyone! It is amazing that your parents were able to look to their child for advice Carrie. We are all so protective of what we “know.” I wonder if I would ever be able to do that. Thank you, Vanessa. The emotional evenness is one of our favorite parts, too. Life got a lot sweeter for our family! It truly is priceless. Just loved this great story. That emotional eveness is always my favorite part. When I went Primal, I stopped snapping at my loved ones. You can’t put a price on that. Thanks so much, Nocona. The emotional evenness is one of our favorite parts, too. Life got a lot sweeter for our family! It truly is priceless. Great story! I have to ask, what exactly is going on in that first picture, from the 80s??? Oh I want to know too… my family and I have been trying to guess… they are wearing matching clothes? Is that mum? They’ve “won” something? But to me it looks like some kind of dance thing… but the book kind of throws that theory out the window… a quiz? He’s a champ at any rate! And I agree, Bring back the moustakka! So… my parents were newly married and were featured in a magazine article. That was the cover photo for the article. We dug it up so that we could submit it with this story. 🙂 I actually can’t remember ever seeing my dad with a mustache… I just got off the phone with my mom and she said an emphatic “no” to the idea of him growing one again! Haha! Not enough carrie. What article, what magazine, what verse was she pointing at? That picture is too awesome to leave these questions unanswered. We need the whole story! Well done! Love the fact that he’s made the changes at this time in his life, like many of us who are not in our 20’s or 30’s anymore. Good for you for encouraging him, also. It’s a whole family success story. Absolutely – I’m super proud of both of my parents. When I was younger, I had this perception that once you became a mom and had kids, you would automatically gain weight and just be heavier for the rest of your life. Well, not anymore! Thanks for your kind words and for reading our story. Carrie, Someone in Rabbie Burns Country loved his story! He looks years younger! Congrats! I will definitely make sure my dad sees your comment – he will be so proud. 🙂 Thank you! God bless the entire Brooks family! Carrie, as you know your mom and dad have been an inspiration to Sue and me for nearly 20 years. And, here we go again! While we have not taken the entire Primal plunge, we have cut out sugar and grains and we are seeing results. I have a long way to go, but I’m liking the progress so far. Starting at 61 is as good as any age as far as I am concerned (since I can’t go back in time). I will keep you posted on my progress. Now, if only I could get a set of “guns” like your dad has…. Thank you, Dale. We’re excited for you and Sue as you’re beginning your journey, and proud of you for going for it! We’ll be excited to hear about your progress along the way. Just think – you could be featured as a success story here someday!! Fantastic story! Best wishes to all of you now and in the future! You are one very special daughter. Your parents raised you well, but that caring heart is all yours. Bless you and the whole family for taking care of each other the way you have. We are just an hour away in Melbourne and I will pass the word and the PRB Leather website to friends and colleagues here in the area. I wish all of you continued health and success. Thank you for your kind words, Guy. We so appreciate your support and sharing about PRB Leather with your friends. My parents are actually in Merritt Island – just around the corner from you. If you ever want to come to a backyard bonfire and work on some knife throwing or archery… just let us know! 🙂 I’m sure my dad would love to meet you! Your dad seems like a pretty cool guy to hang out with. Good luck with the leather business–he has some unique designs. Hi Brad… I’m probably pretty biased, but I definitely think my dad is pretty cool to hang out with!! He’s always into one fun project or another. Sooo I had to Google Julie from the Love Boat 🙂 I can see the resemblance! Haha. Thanks for the encouragement and for reading our story! Well, wet blanket time here to an extent. Great story, nice facts and measurements. And my comments are nothing against the writer or the story – more about the forum. I see more and more sales strategies creeping into the success stories. MDA is huge and reaches a demographic hard to access. I know this from a friend who has used MDA and saw his sales soar. And that’s all fine but I don’t think the Friday Success Stories should allow any self-promotion at all. It should not be about that. Would this story have suffered if the promotion had not been included? To me, it just dilutes the value of the accomplishment and the story. And perhaps the inspiration which is the point. Anyone else feeling this vibe? BTW, wish I could have caught my Dad earlier. He died an early death from cancer brought on by SAD, I am sure. I thought it was all part of the story. Change in lifestyle=improved health=opportunities to make other changes in one’s life. Great write-up. And I happen to be a proud owner of a PRB wallet now. Couldn’t be happier with it. But more importantly, the Brooks’ story has led me to a primal diet and the health benefits that come with it. Thanks for sharing your lives with us Carrie! Michael, thanks for your encouraging words! 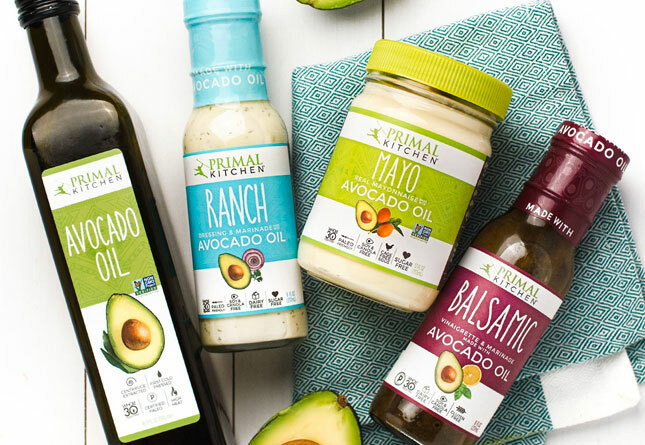 We’re so happy that our lives have helped yours – and we’re so excited about your primal journey. Glad you’re enjoying the wallet, too! Hi embur7. Thanks for your perspective, and for reading our story. I’m so sorry to hear about the early loss of your Dad. All the best to you! I want to add here – I wasn’t at all bothered by inclusion of Kickstarter campaign in this story, b/c it just seemed heartfelt, and of course no one has to give money. But I have had a feeling similar to embur7’s at times re Friday stories that seem lighter on the personal journey and more directly about offering a product. Would be curious to know some of Mark and co’s thinking about having Friday stories be a platform for marketing. Maybe there could be a separate column for featuring Primal business endeavors? I bet there could be even more to feature in that context. They could be linked to people’s success stories as well. Great, great story Carrie. You, your Mum and your Dad are an inspiration! I especially like the bit about the change in your Dad’s mental state. Grok on! Thanks, Gary! They certainly are an inspiration. I agree – the change in my Dad’s mental state has just been amazing. I think I have some of those same characteristics – easily frustrated or irritated when I’m not eating well. Seeing how much food has impacted him shows me how important it is for my life, too. 🙂 Grok on to you, too!! Congratulations. It is really hard to get fit without the use of latest technology. Body scultping, wrapping etc… great job! Thank you, Martha. I know that there are lots of methods that people try to use to lose weight and get healthy, but our family has really found that eating primally is the biggest key. My mom didn’t even start exercising until after she lost the initial 45-ish pounds. It was just the change in diet… pretty cool! Have a great day! That’s an inspiring story – thanks for sharing! I’m new to all this and am looking forward to similar results. I don’t understand your mom’s reference to her backyard looking like an Indian reservation. I myself grew up on a reservation in Canada (no alligators) and the backyard you described is nothing like any reservation I’ve ever seen. Please enlighten me and my friends to your cultural reference. Send my regards to your dad and I will be sure to share my success story soon! Wanna swap pictures of Indian reservations and backyards? Hey Carrie, it’s me, Daniel Strickland here. Awesome story of believing victories!! Despite sharing your Dads initial vehement love for grains, and despite being in arguably the peak condition of my life, having won 1st place in the state of Hawaii, US amateur boxing in the middle weight class (165lbs) earlier this year, and coming out of Ranger School yesterday, you have convinced me to look into this whole primal eating thing to set myself up for success in the future and possibly avoid some of the pitfalls that seem to catch so many of us habitually active young men as we grow older. Daniel! Congratulations to you on successfully completing Ranger School yesterday. That is fantastic news!!! Our country is blessed to have men like you serving us, and we’re so thankful for what you do. I’m also glad that you’re interested in considering primal eating… there are some really cool stories on this site that talk about athletes already excelling in their sport who then just excel that much more when they switch over to primal eating. Blood sugar remains more stable, energy levels increase, mood increases, endurance increases, etc. It’s really awesome. 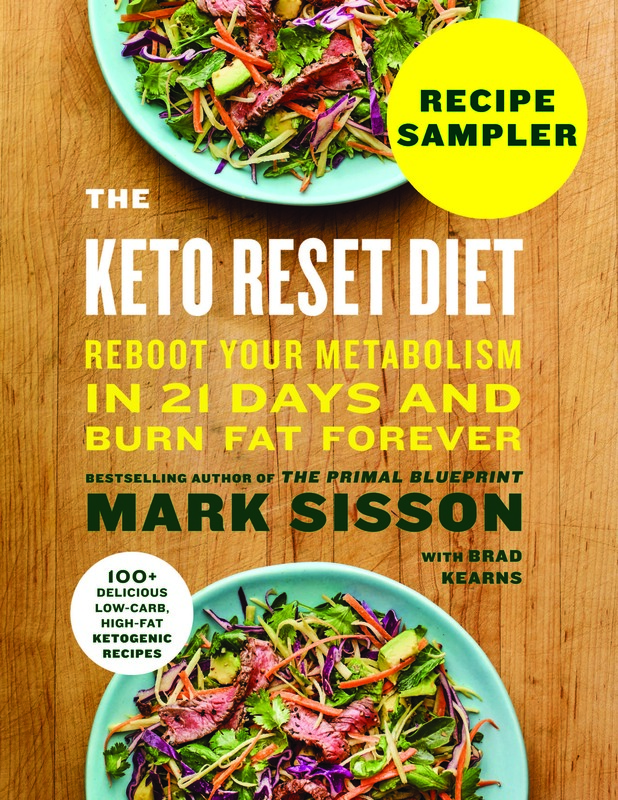 My advice would be to try it out for a couple months, giving your body time to adjust from a “carb-and-sugar-burning-mode” to a “fat-burning-mode”… it takes a little time, but once your body adapts things seem to work all that much better. With your activity levels in the military/boxing/etc. you’ll want to keep eating enough healthy carbs to fuel those levels – sweet potatoes, other more starchy veggies, maybe even some rice. If I can help with any specific questions along the way, just let me know — and of course, a quick search on this site yields TONS of information!! Again, many congratulations on Ranger School. So proud of you. I’m only one month into the PB lifestyle (at age 70!) so am greatly encouraged by your family’s collective experience. I appreciate hearing about the improvements in the quality of life issues as well. I’m already sleeping better and most of my sugar cravings are gone. Hi Darlene 🙂 Wow, that’s absolutely wonderful – so glad that you are giving the primal lifestyle a try. My mom Connie asked me to tell you that when she started, she saw results quickly but it was the long-term commitment to the process that has yielded the great changes in her life. So, her encouragement to you (and everyone else) is to stick with it! Have a great weekend. Thanks Carrie. One of the best stories here. Very well written, informative, and inspirational. PRB will hear from me soon. You’re Dad sounds like a great guy, and someone I can relate to, I shoot a bow I made myself and hunt with it, skin and tan my own game hides, work with leather, and stone, but the stone work is no where near as physical, Dad should try his hand at flint knapping. Hi Dave, thanks so much for your kind words. I’ve never heard of flint knapping, but my Dad probably has. I’ll make sure he sees your comment! Very cool that you hunt with a bow that you made yourself! Holy Hell. Look at the 60 year old super stud. Carrie, well done. It must feel so good to have played such is a big role in your parents transformation. Without you, Dad is on statins and miserable. My favorite part was the personality change. Fantastic story. Good for you and your parents. ???? Hi BW! Your comment made us all laugh – he is a super stud! 🙂 We totally agree… the personality change part really seems to have resonated with a lot of the MDA readers. Thanks for your kind note! Thanks for the great story. It’s fantastic that your dad has his health back but to also have a renewed vigor for life and to be free from crippling anger, well, that is such an incredible blessing and is fantastic to hear. Chalk up another victory for PB Life! The only depressing thing here is what your father’s doctor said about it being normal for everyone to be on medication. Wrong on so many levels! If my doctor told me that, I’d kick them to the curb most ricky tick. Wonderful story. Stories that encourage others to change, especially those close to us, are priceless. Thanks, James. We’re glad you enjoyed the story! Your dad is awesome! That’s cool. I relate to the thing about mood and temper. Totally agree, Joy — he is awesome!! I’m so proud of him! I think most of us can relate to the mood/temper thing… thankfully the right nutrition makes a huge difference! Wow! What a great story!!! That’s wonderful!!! Here’s to many more healthy years with your family! ooh! My new all-time favorite success story!